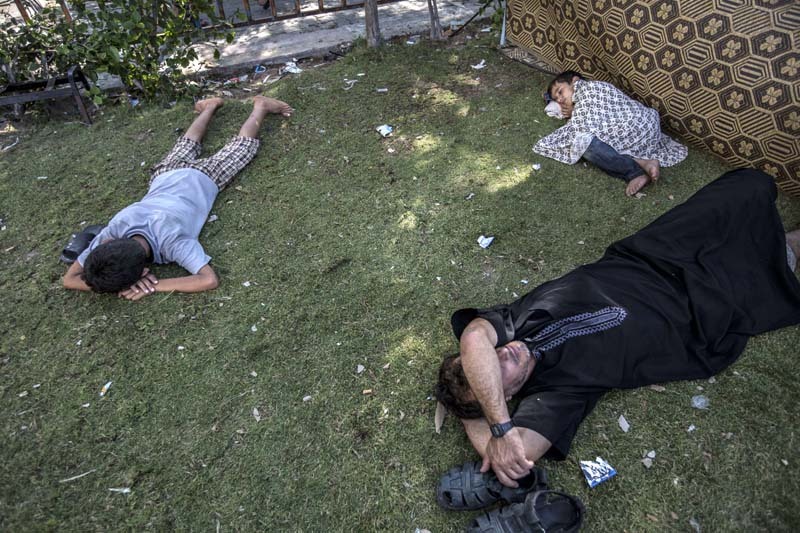 All the areas surrounding the main hospital in Gaza is crammed with people fleeing the constant bombardment. But not even here they are safe. The israeli forces shell the neighbourhood daily.